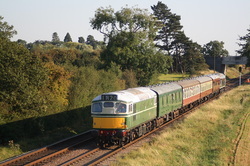 12/09/09 Great Central Railway's Autumn Diesel Gala,Woodthorpe. D5401..2B35..16.21 Leicester North to Loughborough. 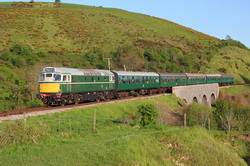 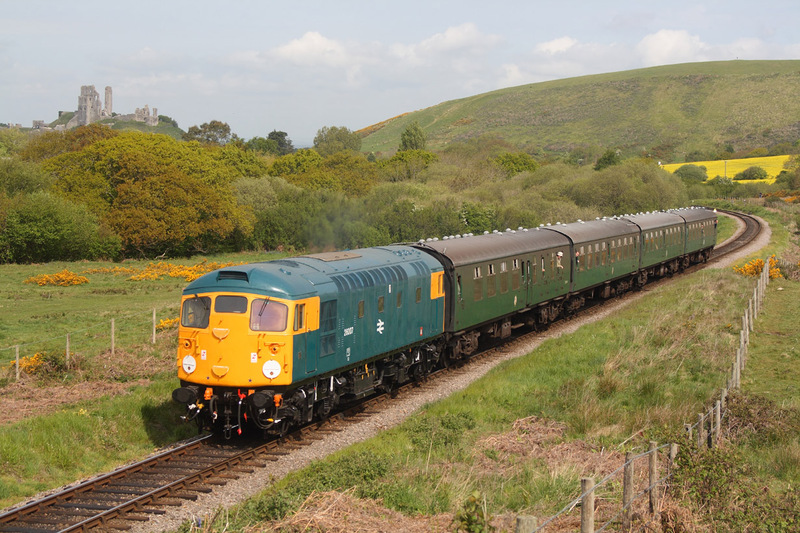 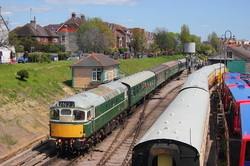 10/05/09 Swanage Railway's Diesel Gala. 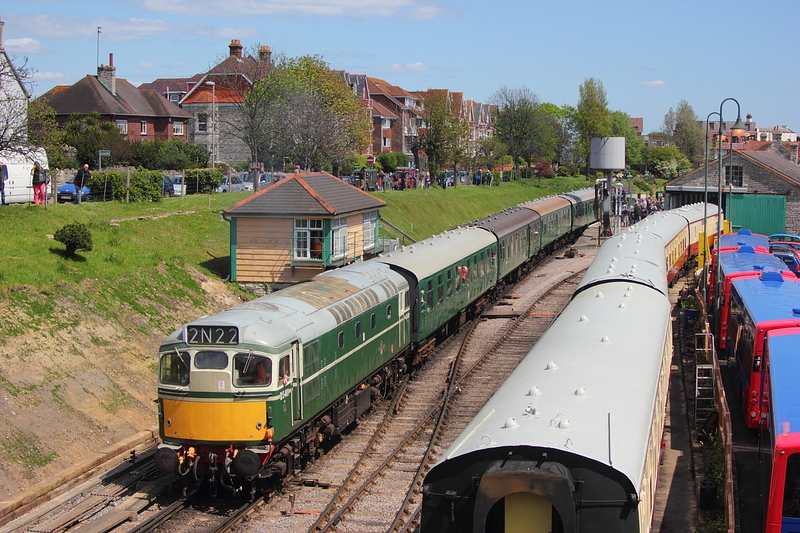 With the remains of Corfe Castle in the background,26007 passes through the common at Corfe,Town End on the 10.30 Norden to Swanage service.